Happy new week! How is it going? 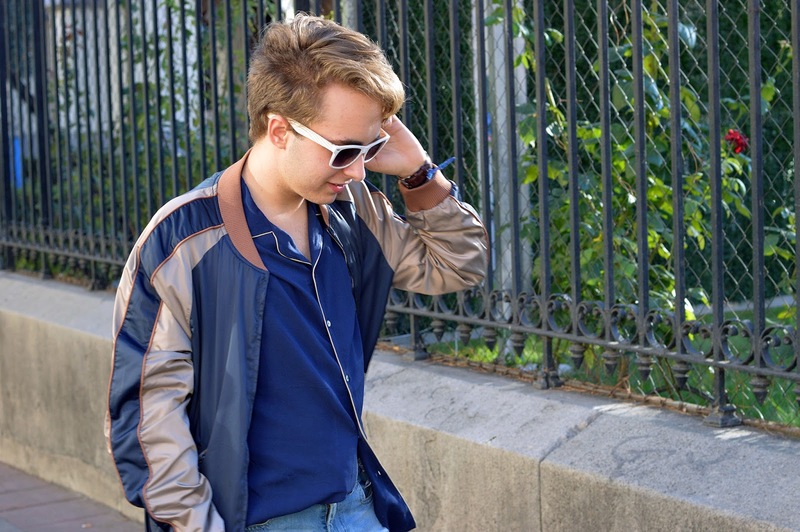 Today I bring you a new outfit post, this time I wanted to show you my new bae, this satin bomber I love. It has thousands of combinations, well, millions, and this one's one of 'em. This time I worn it with my always fav pair of Levi's and with this dark blue pajama shirt. For the shoes I chose this pair I had for a while and that I think I had never shown on the blog. Hope you like these photos and outfit and see you soon. Last week I couldn't post the article of my new house as I came with new ideas of decor that you will see so soon, sorry for the incovenience. Thanks for your comments. ¡Feliz semana chicos! ¿Cómo va todo? 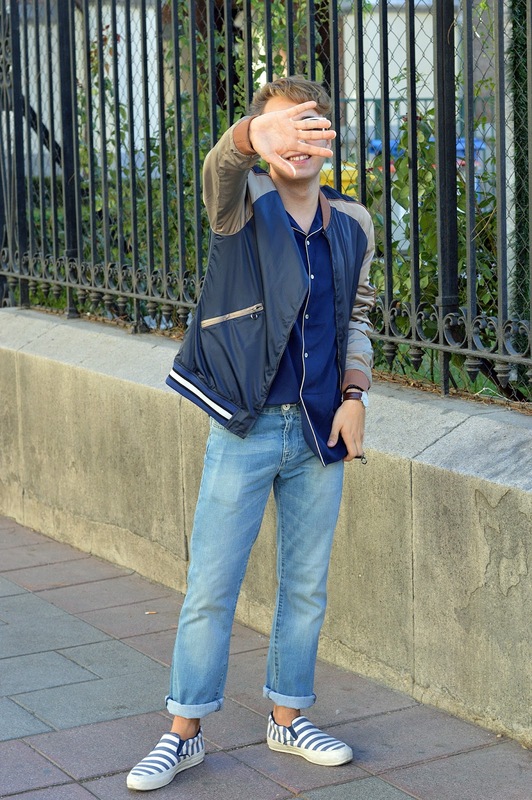 Hoy os traigo un nuevo post para enseñaros mi nueva chaqueta, esta bomber satinada que tanto me gusta. Tiene mil combinaciones, bueno, millones, y esta es una de ellas. 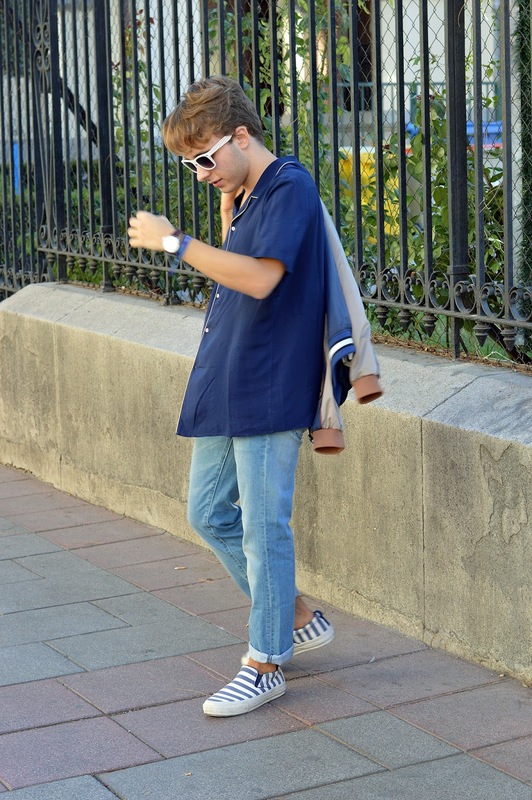 Esta vez la combiné con mis vaqueros azules favoritos de todos los tiempos de Levi's con esta camisa de pijama azul marino. Para los zapatos elegí estos que ya tengo desde hace unos meses pero que aún no había tenido la oportunidad de enseñar por el blog. Espero que os gusten las fotos y el conjunto de hoy. La semana pasada no pude publicar el post con las fotos de mi nueva casa porque se me están ocurriendo nuevas ideas continuamente y quiero que todo esté perfecto antes de enseñarlo. Gracias por vuestros comentarios. Absolutely loved the pants and the shoes are a great fit !